Notes: This title has had a number of DVD releases and is also available on Blu-ray as part of a boxed set entitled The Masterpiece Collection. The transfer used for the boxed set is the same one that is included here, and the disc includes the same special features. The artwork on the actual disc is the only thing different about this release. When scholars and critics write about the perceived failures of Alfred Hitchcock’s final five features, they tend to blame the decrease in quality on Alfred Hitchcock’s ego. The director had been lionized by the French nouvelle vague as a serious artist in the proceeding years, and there is no doubt that Hitchcock took notice. Certain critics have suggested that this forced the director to alter his strategy. While the director did have an ego that rivaled the size of his corpulent figure, this particular reasoning is faulty. It does not take in to account the environment in which these films were made. Context is everything. The director’s downfall was not his own ego (although, one must admit that this is probably the more interesting theory). Alfred Hitchcock’s creative decent was instead the lucrative contract that he entered into with Universal Studios in August of 1964. He signed away ownership of Shamley Productions (including the distribution rights to Alfred Hitchcock Presents and The Alfred Hitchcock Hour), as well as the rights to the five Paramount films that belonged to the director. This made Alfred Hitchcock a very rich man, and the third largest shareholder in Universal Studios. This financial security came with a price. The incredible amount of creative freedom that the director enjoyed during his years at Paramount was greatly restricted. Lew Wasserman was much more than Alfred Hitchcock’s agent now. As the head of Universal and its corporate parent MCA, he was now his boss. This brings us to Alfred Hitchcock’s Torn Curtain… or Alfred Hitchcock’s compromised production of Universal’s Torn Curtain. Alfred Hitchcock discussed the film with enthusiasm in an interview for The Times in June of 1964 (a few months before his contract with Universal would kill the project). “I see it essentially as a horror story” claimed the director. The surviving drafts of the Mary Rose scripts suggest that the film was to be a mood piece that had more in common with Vertigo and Marnie than Hitchcock’s other work. Universal preferred that the director focus on a project that was more in line with his classic spy films. This probably had something to do with the fact that James Bond thrillers were always good box office, and studio suits like to keep up with current trends. This would be the first of two productions that Hitchcock took on to satisfy Lew Wasserman and Universal (the other was Topaz). Hitchcock had originally contacted Vladimir Nabokov requesting that he work with him on the screenplay for what would become Torn Curtain. Unfortunately, the two men were unable to synchronize their schedules. Alfred Hitchcock then reluctantly turned to Brian Moore to help him on the script. The writer eventually agreed to work with the director, but was never satisfied with the script. Hitchcock was also disillusioned with the project, and eventually hired Keith Waterhouse and Willis Hall in the hopes that they could save the script. Unfortunately, the script issues made for a chaotic production. However, the problems inherent in Torn Curtain aren’t entirely script-related. As a matter of fact, many scholars agree that the script of Torn Curtain is actually quite strong. The film would have been vastly improved by proper casting. Universal wanted Torn Curtain to be a return to the director’s glory days. This of course meant that Hitchcock would have to cast huge box-office stars. Hitchcock attempted to sign Cary Grant to the film, but Grant was unable to participate (and was planning retirement). This is just as well. The studio wasn’t at all interested in Cary Grant. Younger stars would bring a larger (and younger) audience to the theaters. 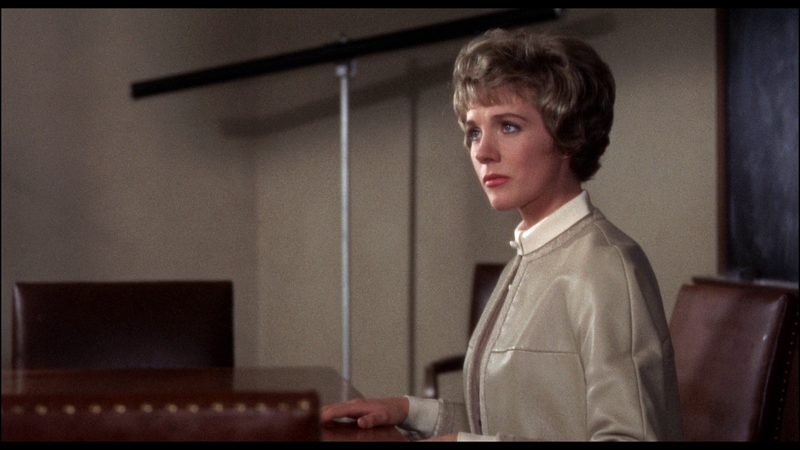 Since Paul Newman and Julie Andrews were currently top box office attractions, they lobbied very hard for Hitchcock to cast both actors. Hitchcock wasn’t convinced that either actor was appropriate for the film, but eventually gave in to studio pressure. This resulted in a rather cold and distant relationship with both stars (especially Newman). It was also extremely costly to cast the actors. Andrews and Newman were paid more than Hitchcock had to spend on the rest of the production. This money could have been put to better use considering the fact that neither actor was appropriate for their roles. Hitchcock’s contract with Universal even led to the end of one of Hitchcock’s most important creative relationships. Bernard Herrmann provided the score for every film that Hitchcock had made since The Trouble with Harry in 1955. 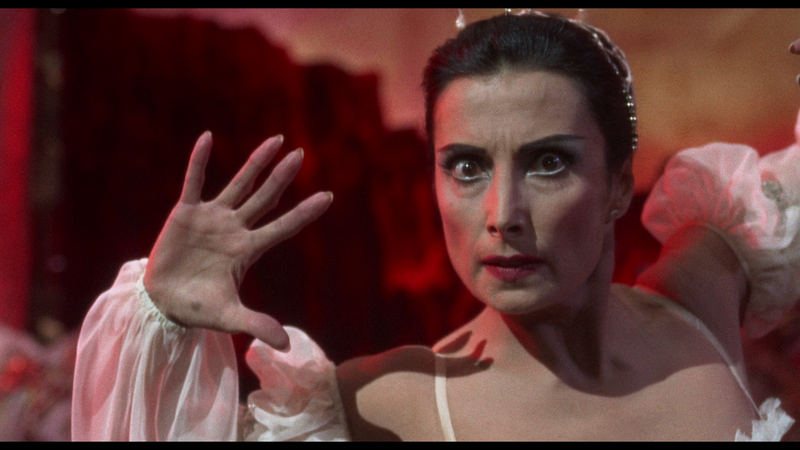 (The composer was even hired as a sound consultant on The Birds, which didn’t have a score.) He was to continue this tradition with Torn Curtain. Things were changing in the nineteen sixties. Films were marketed to teenagers, and these undeveloped minds needed to be appeased by the Hollywood factory. If younger audiences didn’t go to the cinema to see Hitchcock’s newest film, it would not be a financial success. Universal didn’t want an artistically appropriate score for Torn Curtain. They wanted a hit record that would interest these young minds and bring them into the cinemas. Herrmann’s scores were brilliant, but they weren’t commercial. The studio suits made their intentions clear to Hitchcock. Lew Wasserman suggested that Hitchcock hire a younger composer to the film to deliver them the commercial score that Universal wanted. Alfred Hitchcock preferred to give Herrmann the chance to write such a score (hoping that the composer could pull off something that was both commercial and appropriate for the film). Hitchcock wrote Herrmann a telegram on November 4, 1965 that elaborated on his intentions for the score. To follow up Peggy’s conversation with you let me say at first I am very anxious for you to do the music on Torn Curtain. I was extremely disappointed when I heard the score of Joy in the Morning. Not only did I find it conforming to the old pattern, but extremely reminiscent of the Marnie music. In fact, the theme was almost the same. Unfortunately for we artists, we do not have the freedom that we would like to have because we are catering to an audience and that is why you get your money and I get mine. This audience is very different from the one to which we used to cater. It is young, vigorous, and demanding. It is this fact that has been recognized by almost all of the European film makers where they have sought to introduce a beat and rhythm that is more in tune with the requirements of the aforementioned audience. This is why I am asking you to approach this problem with a receptive, and if possible, enthusiastic mind. If you cannot do this, then I am the loser. I have made up my mind that this approach to the music is extremely essential. I also have very definite ideas as to where the music should go in the picture and there is not too much. So often have I been asked, for example, by Tiomkin to come and listen to a score, and when I express my disapproval, his hands were thrown up and with the cry of ‘but you can’t change anything now. It has all been orchestrated.’ It is this kind of frustration that I am rather tired of. By that, I mean getting music scored on a ‘take it or leave it’ basis. Another problem this music has got to be sketched in an advance because we have an urgent problem of meeting a tax date. We will not finish shooting until the middle of January at the earliest, and Technicolor requires the complete picture by February 1st. Herrmann’s response suggests that the composer was willing to accommodate Hitchcock’s request. However, one can also read the reply as tactful condescension. 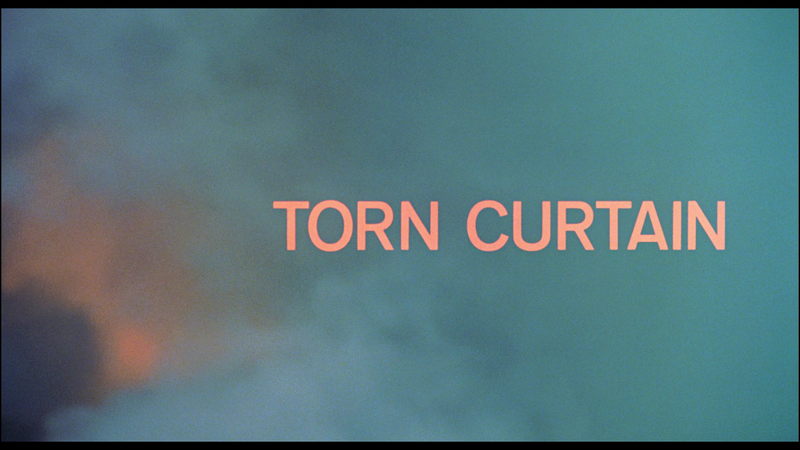 “Delighted [to] compose [a] vigorous beat score for Torn Curtain. Always pleased [to] have your views regarding music for your film. Please send [the] script indicating where you desire music. [I] can then begin composing here. [I] will be ready [to] record [the] week after [the] final shooting date. It isn’t terribly difficult to understand why Hitchcock might have been slightly frustrated with Herrmann when the score delivered was not what he requested. It is simply a shame that a good partnership was destroyed due to studio pressure. 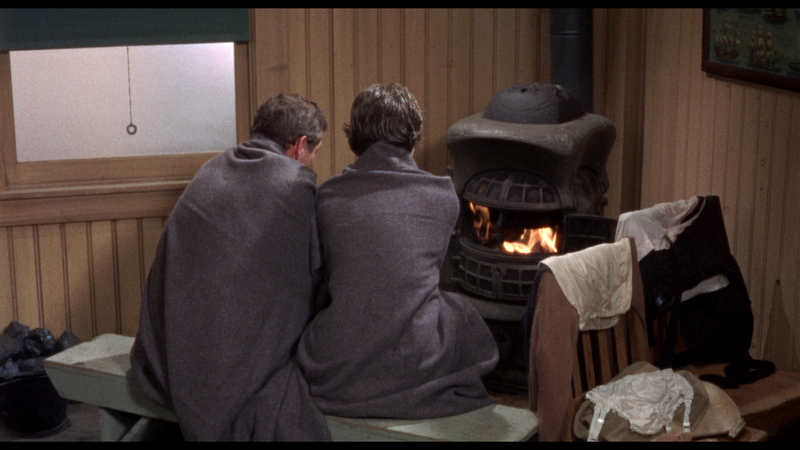 Herrmann was replaced with John Addison, and it is Addison’s music that is heard in the film. Herrmann felt that Universal was having a negative effect on Hitchcock’s creativity. The composer claimed that previous collaborations were always successful. Bernard Herrmann wasn’t the only collaborator that Alfred Hitchcock lost. Marnie marked the final film that Hitchcock made with two other very important collaborators. Robert Burks (cinematographer) had worked with the director on every film he made since Strangers on a Train in 1951 (with the exception of Psycho), and George Tomasini (editor) had worked on every Hitchcock film since Rear Window (with the exception of The Trouble with Harry). Tomasini had passed away on November 22, 1964. Robert Burks passed away in a terrible house fire on May 11, 1968. It is not clear why Burks didn’t participate on Torn Curtain, but he has no 1966 credits to his name. The talents of both men were sorely missed by both Alfred Hitchcock and his audiences. If Alfred Hitchcock’s ego was his downfall, it was because it had been deflated. Universal’s overwhelming control over his productions, and the lackluster reception of his most recent films took a toll on his self esteem. If he bowed to the studio’s interference, it was because he no longer had the strength to challenge it. His creative team was no longer with him. He was growing older, and becoming less popular. His confidence had been destroyed. Of course, critics and audiences were disappointed by Torn Curtain. Reviews weren’t hostile, but certainly expressed an uneasy dissatisfaction. Variety set the tone with their review on December 31, 1965. 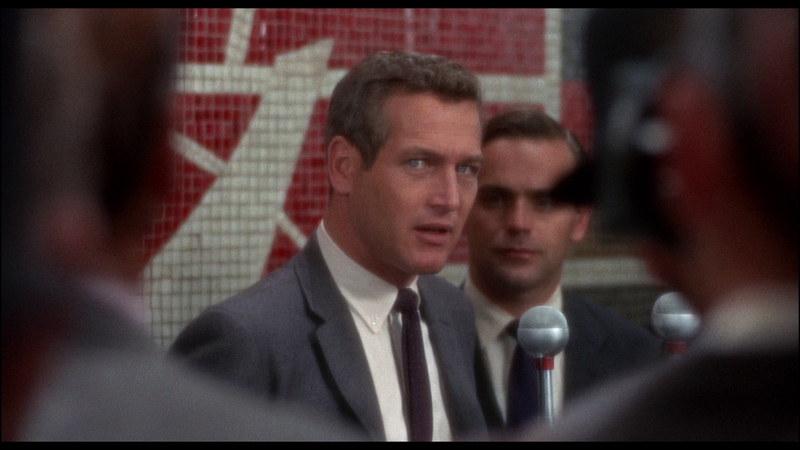 “…Writing, acting and direction make clear from the outset that Newman is loyal, although about one-third of [picture] passes before this is made explicit in dialog. This early telegraphing diminishes suspense. Bosley Crowther was more specific in his criticism of the film for The New York Times. “Alfred Hitchcock was saying to a reporter for The New York Times a few months back that he had never known a time when it was so difficult to get a skilled script writer in Hollywood. Evidently he was hinting, in his familiarly suave and subtle way, that the script for his new film, Torn Curtain, which he was shooting at the time, was something short of perfection — at least, not what he would have it be. …The idea is not insufficient for a fictitious spy film of the sort that Mr. Hitchcock has many times managed to make scamper and skip across the screen. The locale and circumstances should do for a characteristic lark. 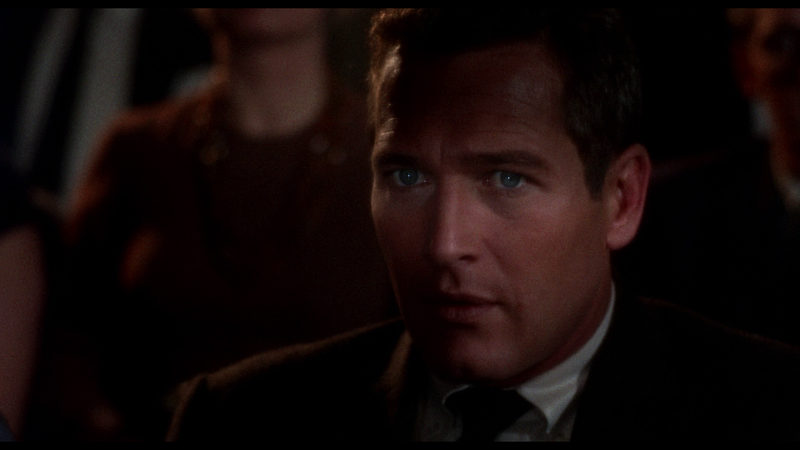 But here he is so badly burdened with a blah script by Brian Moore and a hero and a heroine (Paul Newman and Julie Andrews) who seem to miss the point, that he has come up with a film that plows through grimly, without any real surprises, suspense or fun. Significant of something or other is the fact that the strongest episode — the most spontaneous and engaging — is the secret killing of a security guard who has trailed the hero to an East German farmhouse and discovered him making contact with a secret agent there. The frenzy with which Mr. Newman and a frightened farm woman, played with commendable spontaneity by Carolyn Conwell, go about slaughtering the fellow, who is harder to kill than Rasputin, and the deftness with which they dispatch him, are the most exciting details in the film. There is also another episode which was probably expected to be uniquely amusing and moving, but, alas, it is so unsubtly don — so bluntly staged and archly acted — that it stands out like a sore, useless thumb. It is an episode in which the fleeing couple run afoul of a Polish countess, played by the little actress Lila Kedrova, who was so wonderful in Zorba the Greek, and are tediously importuned by her to help her get to America. It’s as though Mr. Hitchcock stopped his picture — stopped the chase, stopped everything — and gave the virtuoso Miss Kedrova a chance to do her stuff. This review for The Times suggests that critics were slightly more receptive overseas. While disappointment is still palpable, criticism is cushioned by faint praise. “…You see, the subject does seem – whichever way one looks at it – cut out for serious treatment, in black-and-white, with a lot of mystery and anguish… It is a nightmare situation which Mr. Hitchcock could so easily and so superbly treat nightmarishly a la The Wrong Man or Psycho. Instead, oddly, he has chosen to treat the whole thing as a lightweight adventure entertainment: the heroine’s mental agonies are rapidly soothed by some quick explanations on a studio hillside which looks like something out of the Ideal Homes garden section (no, of course, he is not a traitor — he is a spy), and then off we go on a very jolly battle of wits. Once we adjust, and the film adjusts, this is very agreeable and expert. The couple’s adventures on the way out of Germany are handled in a straightforward suspense style, but then of that Mr. Hitchcock is a past master. …And it is certain that, at any rate, no one will be bored. 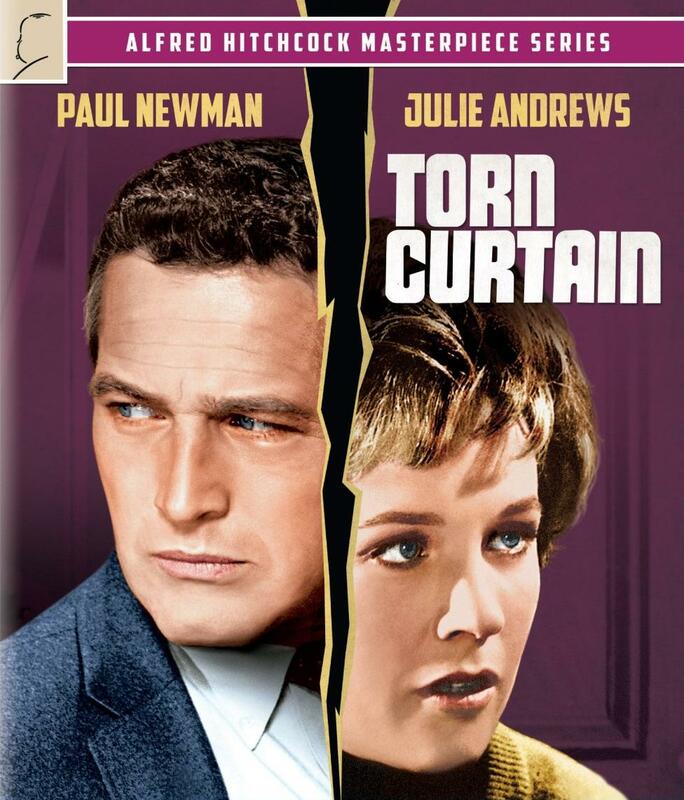 Torn Curtain isn’t Alfred Hitchcock’s best work, but it is certainly worth watching for the place that it occupies in his career. 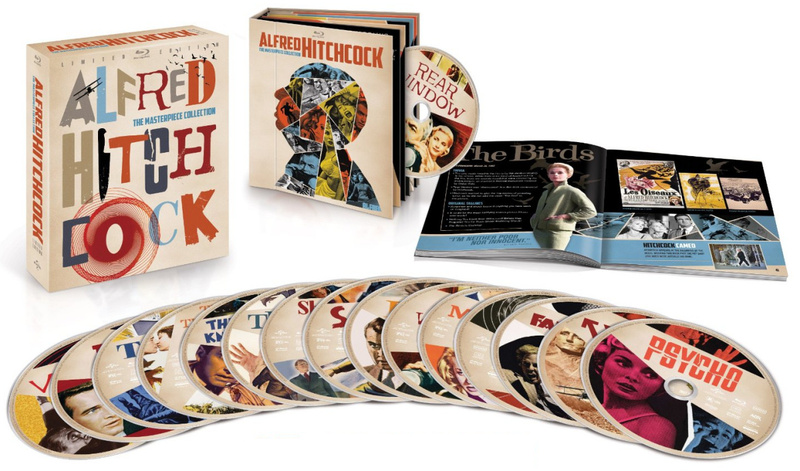 Since Universal’s Hitchcock Blu-rays rang from wonderful to horrible, it is difficult not to be apprehensive as a consumer. Luckily, their 1080p AVC-encoded transfer looks superior to all of the previous home video releases of Torn Curtain. The entire look of the transfer screams “celluloid” (which is a blessing). Detail is excellent and the image showcases textures and edges beautifully (even if the look of the film is somewhat soft). There are a few unfortunate issues with noise and other anomalies, but the intentionally subdued color palette is handled carefully here, and showcases accurate contrast and black levels. There may have been a few instances of slight color bleeding, but these were never distracting. Luckily any digital noise reduction seems to have been handled more carefully than on a few of the other Universal titles. This isn’t among the best transfers in the Universal Hitchcock catalog, but it is more than anyone can really expect. 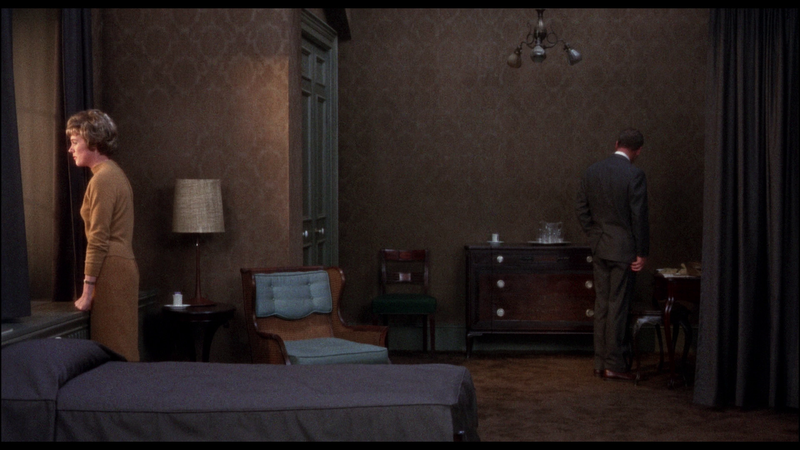 Hitchcock’s sound design is as carefully constructed as his visuals, a proper audio presentation is essential. The DTS-HD Master Audio 2.0 mix has been handled nicely here. The mix is clean and clear with well prioritized dialogue, and even the most subtle sound effects can be heard in the appropriate manner. John Addison’s music is given more room to breath because of the lossless quality of the track, which sets it apart from the DVD releases. Laurent Bouzereau’s documentary for Torn Curtain is in a very different format than the documentaries for most of the other films in Universal’s Hitchcock catalog. Instead of retrospective interviews from members of the cast and crew, Trev Broudy narrates the program, and relays information about the film’s production and reception to the audience. This narration is of course illustrated with clips from the film, production stills, and other related artifacts. The reason for this alternative approach is likely due to the fact that living members of the cast and crew were unable or unwilling to participate. This is certainly our loss because this format is less engaging. However, it is a lot better than nothing, and it is nice to have this included. There is quite a bit of interesting information here. Fans of Bernard Herrmann will agree that this Blu-ray disc could have never been complete without this particular supplement. Audiences are given the opportunity to view a number of scenes with Alfred Hitchcock’s original score in tact (instead of John Addison’s music). 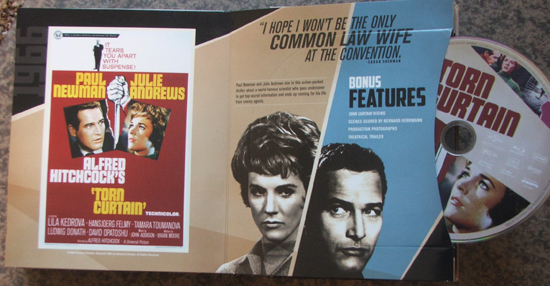 Universal’s trailer for Torn Curtain is not as clever as other Hitchcock trailers, but it is nice to have this marketing artifact included on the disc. This is a standard definition presentation of production stills, behind the scenes photographs, posters, and advertisements for the film. It is nice to have these included. Torn Curtain is recommended for all fans of Alfred Hitchcock. While this probably one of the director’s weakest American efforts, it still manages to pull off moments of absolute brilliance. Universal’s Blu-ray transfer is a definite upgrade from the previous DVD releases.